July 1st, 2018: Sustaining, and growing. 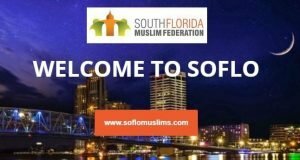 We are very thankful to Allah Almighty for allowing us to come together yet again to set the foundations for the future of the South Florida Muslim Federation. Alhamdulillah! The By-laws task force, formed by the member organizations back in April, gave a detailed report on their recommendations regarding the voting and membership aspects of the Bylaws. 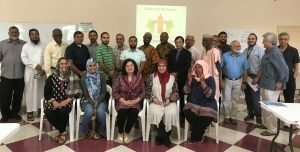 The task force consisted of the following members: Leila Shatara, Malika Abdurahman, Mohammed Sanhaji, Wilfredo Ruiz, Dr Husman Khan, Khalid Mirza, and Afifa Khaliq. With some minor tweaks and wording adjustments, the task force recommendations were unanimously accepted by all attending members. In addition, we opened up to the floor for any other comments / concerns in any portion of the bylaws. These suggestions were all noted, and will be incorporated into the final bylaws draft, which will be sent out in august. The final vote to complete the bylaws will occur in the next Bi-annual meeting on Oct 7th, 2018, Inshallah. Lastly, the brand-new, redesigned soflomuslims.com website was announced and presented a live demo. Businesses, Islamic Centers, organizations, can all use the site at no charge to promote their events or businesses, or job opportunities. Stay tuned – the free matrimonial service is right around the corner, and will be available soon Inshallah! Salamualaikum, sister – May Allah bless you. We definitely have room for volunteers – please email us at info@soflomuslims.com and let us know about you, which masjid / organization(s) you are involved, and your volunteer background or experience.